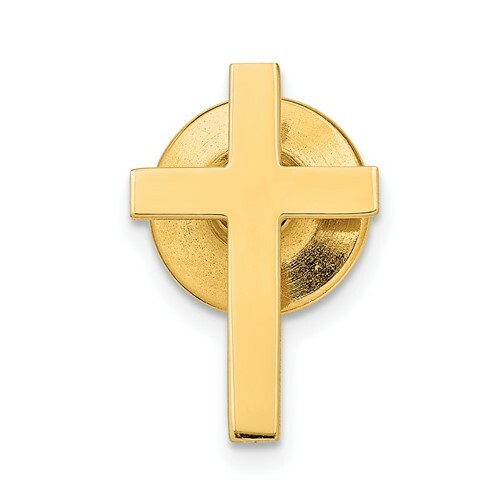 Cross tie tac is made of polished 14kt yellow gold. Weight: 0.62 grams. Item measures 7/16 inch wide by 11/16 inch tall without loop and bail. Beautiful Tie Tac!!! Great size. 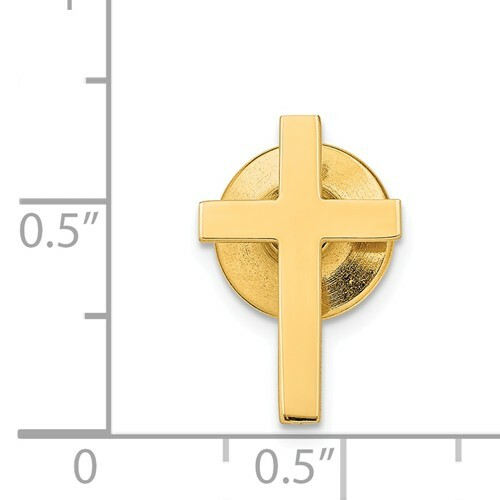 Received it in a timely manner.|Just what I was looking for!|Great clasp on back.